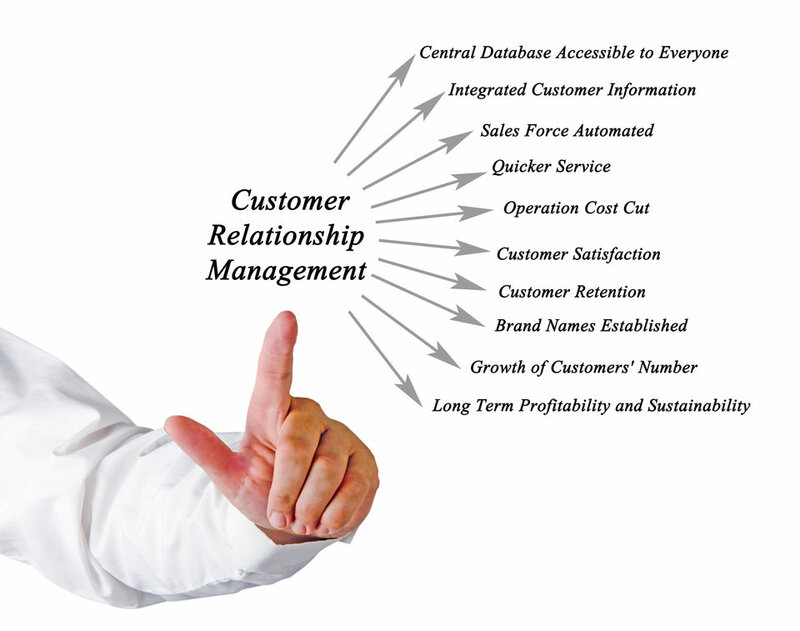 A CRM, or Customer Relationship Management system, is the tailored form of a database, designed to enable the user/users to efficiently manage all business relationships in one central location. It’s the go-to place for all client contact records, accounts, leads, sales opportunities and marketing plans, along with any associated information and ongoing client notes. As a business grows, its relationships and connections become more extensive. Categories can be filtered to target marketing campaigns. Provided it is constantly updated, your business’ CRM is a valuable marketing tool. Ongoing advances in cloud technology are providing business owners with cost effective CRM systems that not only allow for effective management of their client databases but are introducing a whole new level of predictive business analysis processes and information. CRM solutions can provide wide-ranging client-history databases that businesses can make use of for optimal marketing results. Knowledge of the buying habits of your individual clients is invaluable for improving customer service and, in turn, enhancing customer loyalty. CRM systems can be very effective in that regard as they allow businesses to analyse and understand their clients’ behavior and offer customised services, tailored to their unique needs. In the past, sales people carried information cards or made notes about each customer, where they recorded details on clients’ buying habits and preferences. Such information was inaccessible to the marketing department, leaving marketing and sales working separately to achieve individual goals. With the use of a CRM system, where such information is accessible to all interested parties, the gap between sales and marketing can be removed, allowing them to integrate and streamline their goals and processes to meet common business goals through effective and targeted marketing. The information collected in the CRM is invaluable for designing a marketing plan; for example, if the return on investment is significantly higher in one particular demographic, then future marketing campaigns targeting this group will achieve high results and increased lead generation. A CRM that is updated daily will assist your sales team by providing in-depth knowledge on your clients, thus allowing them to close sales more quickly and efficiently. The CRM’s benefits are not limited to addressing the individual client’s needs; the collective information and commonalities shared by clients can provide invaluable analysis material for constructing a business strategy. It is important to note that a CRM is just a vessel for capturing and supplying data therefore it’s only as good as the data that is entered. Also, not one size fits all when it comes to deciding which CRM is best suited to your business. We have experience with a range of CRM’s and can guide you to a solution that will be best suited to your business. Furthermore, our team can assist with the set up and training of your team, for effective use from day one. Adminlink Plus currently works with a large variety of CRM’s including Zoho, Insightly, Capsule, X-Plan, Top Producer and COIN to name a few. We are able to quickly learn and adapt to new CRM’s as well as provide additional tips to our clients. We pride ourselves on being able to work efficiently and seamlessly within our clients CRM’s utilising all our team’s experience and skills where needed.